Finding the right people to hire–those with the right experience, skills, and growth potential–is challenging for businesses of all sizes. Even more for small businesses, the NIFB Small Business Optimism Index recently found that 88% of small businesses hiring or trying to hire reported few or no qualified applicants for open positions. Small businesses need to be on top of their game in the hiring process if they want to attract the best and brightest employees. Unfortunately, many small businesses unknowingly make critical mistakes that drive prospects away. Disorganization, a lack of transparency, and rushing the process cause great prospects to doubt whether the job is right for them. So, what’s a small business to do? First, it’s essential to understand the common mistakes that drive prospects away. From there, you can make changes that improve your process, ensuring when a well-qualified prospect is interested in your business, they’ll stick around. The interview process is a candidate's first view into your business, and first impressions matter. A study conducted by researchers at Bilkent University found that when people look at others in photographs, this first impression influences their perception of those people even after they interact with them in real life. If the interview experience is disconnected, inconsistent, or haphazard, the prospect will notice, and it may drive them away from accepting a position. That’s why it’s important to have an organized interview process led by a key hiring manager. It’s also essential to come to the interview on time with questions prepared. When a prospect is interviewing for a job, they’re naturally going to be curious about compensation. Benefits matter too, as nearly 3 in 5 people state that benefits and perks are the top considerations for accepting a new position. Sometimes prospects are asked for their desired salary in an interview, only to be given an offer that’s much less than the stated range. This type of bait and switch makes prospects feel uneasy and unsure if they can trust the company. During the interview process, prospects will be assessing how transparent the company is. Glassdoor states that “90% of job seekers say that it's important to work for a company that embraces transparency.” Make sure that you’re telling the truth– even if it’s a bit unattractive– as dishonesty and lack of transparency is what drives prospects away. Just like you don’t want to hire a desperate prospect, your new hire probably doesn’t want to work for a business who seems desperate and rushed to get them on board. Deciding to take a new job is a big decision, so don’t rush the candidate to make a choice in 24 hours. Instead, make yourself available for questions and give them a week or two to make their choice. If they want to come into the office again, accommodate that. Your patience will make them feel more comfortable and at ease. A small business’ job is not over just because an offer has been made. After an offer has been made, it’s essential that the company does a good job of following up. Does the candidate have any questions? If so, you need to be available and respond quickly. Even after the offer is signed, it’s important to have someone on staff who can get the candidate up to speed on what they can expect when they come into work for their first day. This post is part of a special blog series on 'Get Fully Staffed: Finding and Keeping Great People' in support of ProService’s Growth Series event which took place on June 27, 2018. Offered exclusively to ProService clients and special guests, the Growth Series are interactive learning experiences that feature industry-leading speakers and networking opportunities that will inspire and provide tools for business leaders to take their organizations to the next level. To register for upcoming events, please visit our event page. 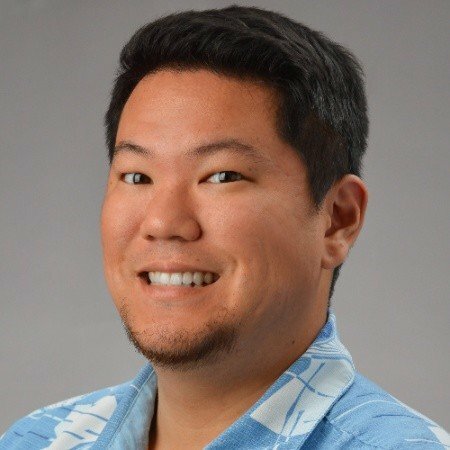 Chris Wakukawa currently serves as the manager of the ProService Downtown HR Service Team, where he works with the team to provide world-class service to clients while growing future leaders of the company. Chris has a background in molecular biology, and ProService allows him to unite his passion for people with his drive to create solutions.